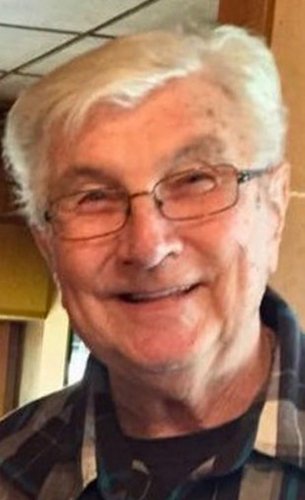 Adam Thomas Wojcik, 76, Forest City, died Thursday. His wife is the former Sylvia Buchar. Born in Browndale, the son of the late Adam and Josephine Polesnak Wojcik, Adam was a man of great faith, which continued throughout his entire life. He was a faithful member of Ascension Parish in Forest City. Adam was a retired Pennsylvania Turnpike supervisor and spent his time working for Pocono Raceway security. Adam was a past master and member of Mount Hermon Lodge 472 of the Free and Accepted Masons, Union Dale. Adam had a deep love for his family and friends. His passion for operating heavy equipment allowed him to literally move mountains, and that gave him so much pride. Adam is also survived by his children, Michelle, Laura, David, Amanda, Carrie and Tammy; 10 grandchildren; six great-grandchildren; and several nieces, nephews and cousins. He will be reunited with his five brothers, Vincent, Anthony, Julius, Edmund and Joseph; two sisters, Anna and Antoinette; as well as his mother and father. Funeral services will be held at the convenience of the family with interment in St. Agnes Cemetery, Forest City. Arrangements by the Jones & Brennan Funeral Home, 430 Main St., Forest City. To send online condolences, visit the funeral home website.